The combined forces of weight and sharp pressure applied to an area in the roof may result in a roof puncture. This hole in the roof is a common problem in commercial roofing, which allows moisture to penetrate and damage the other parts of the roof. If left untreated, it can result to severe structural damage. Believe it or not, people are the number one cause of roofing punctures. 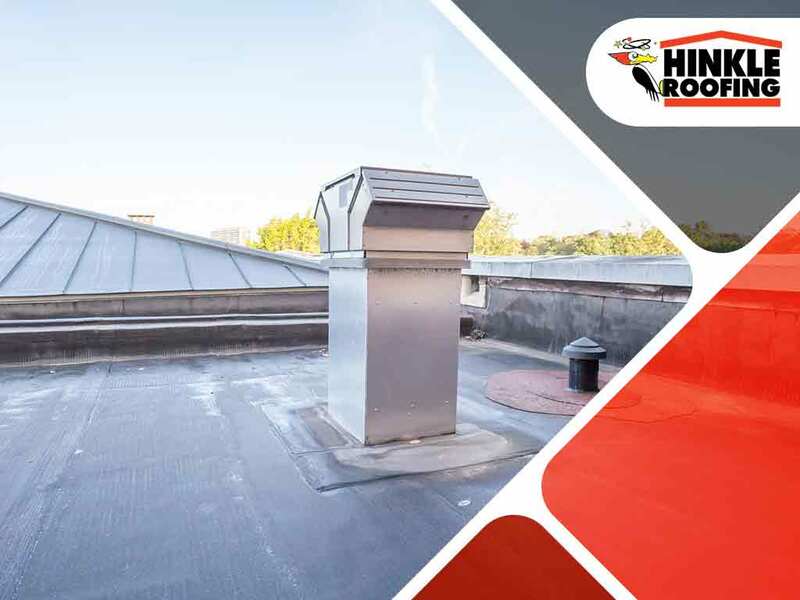 Normally, roofs can manage regular roof traffic such as repair professionals, painters, HVAC technicians or DIY homeowners who use the roof to accomplish their job. However, they may accidentally drop their tools or other harmful materials that may result in roof damage. Birds peck at things, squirrels chew on products, rodents gnaw on building materials and raccoons may scratch the roof surface. These are just some of the ways that animals may unintentionally produce roof punctures. Storms or strong winds may hurl debris such as branches against the roof that may cause punctures. Hailstones can also bring about damage. In order to address commercial roofing punctures, Hinkle Roofing partners with Duro-Last for all commercial roofing projects. Duro-Last manufactures the best commercial roofs in the world. They are at the forefront when it comes to commercial roofing solutions. Not only does Hinkle Roofing use top of the line materials, we also make sure that they are installed based on the manufacturer’s specifications. Moreover, Hinkle Roofing only deploys well-trained and highly experienced professional roofers to every project. They know how to walk and behave properly to avoid puncturing the roof. They are more than qualified to ensure that your roof is in good working condition. Trust Hinkle Roofing to build a puncture-resistant commercial roofing for your business. If you are from Calera or Hoovers, AL, you can schedule your free estimate for your commercial roof repair when you contact us. Our number is (205) 352-1940 or you can also fill out our contact form to request an estimate.